License Plate Readers: Is Big Brother Watching? License plate readers automatically take time-stamped photos of vehicles entering and leaving an area. These photos can be great evidence when someone commits a crime. They can help police officers nab criminals before they leave the city for good, and they can help prosecutors prove a case at trial. The lawsuit was filed in October 2018. 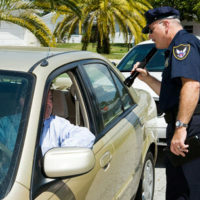 It alleges that the license plate readers violate the Fourth Amendment, which prohibits unreasonable searches and seizures without a warrant. City officials claim that the lawsuit has numerous inaccuracies and will be defeated in court. Calling the plate readers a “dragnet,” the man alleges that they unfairly lump criminals and innocent people into one category. Residents and visitors alike are subject to the data collection and retention performed by these electronic devices. The man claims this collection of data violates a person’s right to privacy. While the purpose of the license plate readers is to solve crimes, the man and others are criticizing the readers’ ability to hold onto such large amounts of data. Over time, this can give the government a lot of information about a driver’s life. By tracking each driver’s movements over time, the license plate readers can tell where a person has been going. Conclusions can be drawn about various personal elements of a person’s life, such as where they work, attend school, go to church, or shop. An electronic device should not be able to read this much information about a random person driving through an intersection. Currently, the license plate readers are very invasive—and a driver who is following all traffic laws to simply get from Point A to Point B should not need to be concerned that his or her privacy is being invaded. According to the lawsuit, many cameras are in place and the data is stored on a server for three years. This raises a number of important questions: Why is everyone’s data being held for so long? What safeguards are in place to ensure that the information is not misused? When can a criminal defendant have the license plate reader photographs thrown out of court as an illegal search and seizure? While technology is a great tool, sometimes it can go too far. Cameras can help solve crimes, but they can also lead to invasion of privacy and violate constitutional rights. If you are facing criminal charges as a result of what you believe is an illegal search and seizure or privacy issues, seek legal help right away. Let the Palm Beach criminal defense lawyers at Perlet & Shiner, P.A. protect your reputation and legal rights. Schedule a consultation by calling 561-721-0552 or filling out the online form.